I recently received an email asking about 1 on 1 strategy for 7-year-old defensemen. The coach asked whether he should be teaching the players to play it skating backward (even though they don’t skate well backward yet), or starting forward then pivoting backward, or something else altogether. Put your most experienced players on defense. This will give you a better chance at managing your opponents’ better players, and you’ll still be able to use them to generate a lot of offense. If you’re playing cross-ice 4 on 4, as per ADM’s recommendations, run 3 forwards and 1 defenseman. 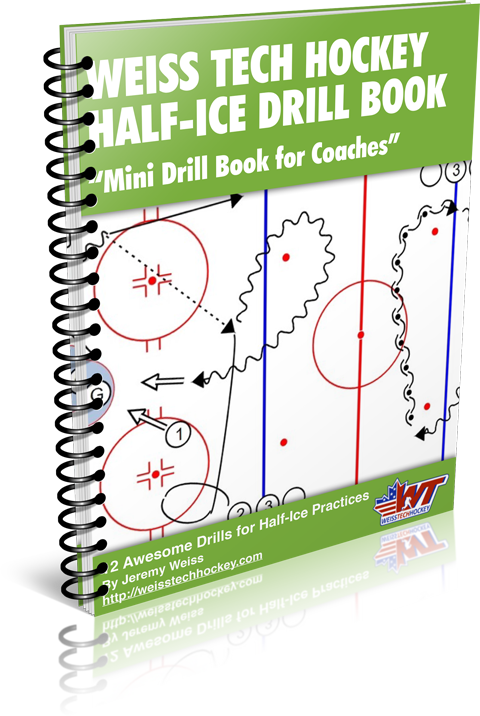 Teach your forwards to pressure hard in the corners, and crash the net on shots, and backcheck hard on turnovers. In the meantime, work hard on backward skating in practice. 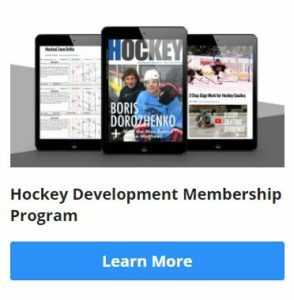 Once backward skating is proficient (usually about half-way through the last year of squirt for your top kids), introduce and transition your defensemen to play the 1 on 1’s in the conventional way. SIDE NOTE: As your lesser-experienced players begin improve, let them play some defense too. Start them as two-man units, angling. Eventually progress them to play the conventional 1 on 1.